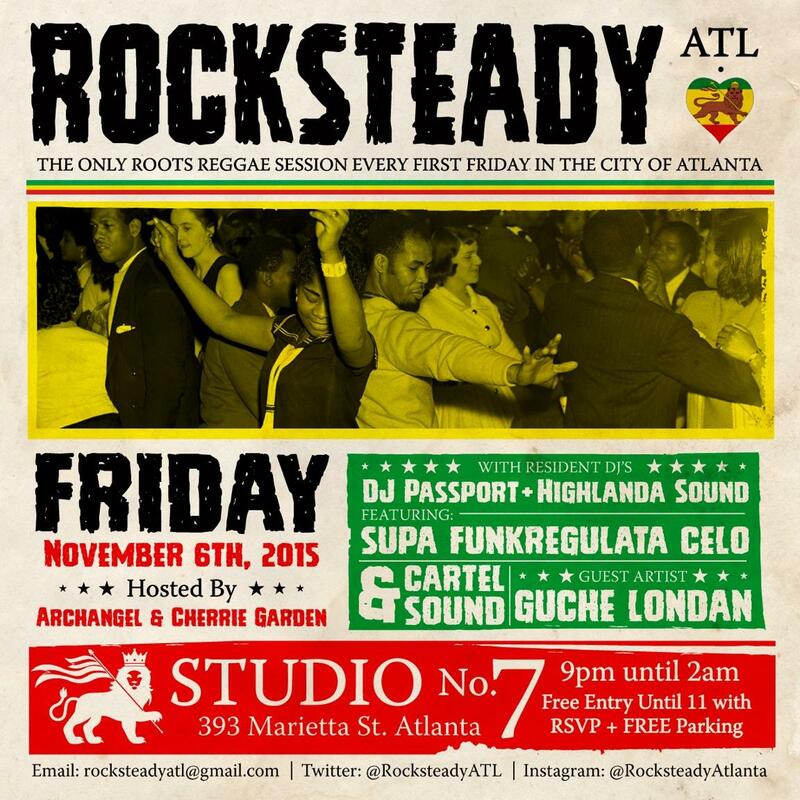 ROCKSTEADY ATL continues to bring you Roots Reggae, Lovers Rock, Dub and more Every First Friday at Studio No. 7 located at 393 Marietta Street, NW, Atlanta. Friday November 6th will be Hosted by Archangel aka SuperPEC and Cherrie Garden from Caribbean Focus TV. Music will be selected by Highlanda Sound and DJ Passport along with Guest DJs Supa Funkregulata Celo and Cartel Sound with DJ Philip Five. Guest artist GUCHE LONDAN (featured on the new REGGAE VIBES RIDDIM) will be in the building for his debut ROCKSTEADY ATL performance. Doors will be open 9pm-2am with Free Entry Until 11pm with RSVP + FREE Parking. RocksteadyATL@gmail.com to RSVP.